Category Index for "Web Hosting Guides"
These are all of our web hosting guides that have been published on T5A. If you need assistance with selecting a web host that is right for you, please see our best web hosting page that lists our top choices. Alternatively, we also have a best VPS hosts and best Windows hosts list that may assist. 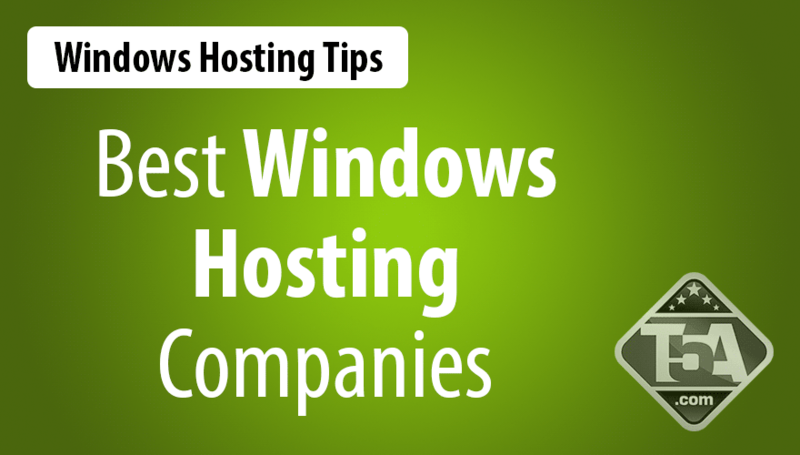 The 3 best Windows hosting companies on our list are DiscountASP, HostGator and MyHosting. Based on the ranking for their services and features, DiscountASP got the best rating from the 3 as a whole. DiscountASP and HostGator are tied in getting the highest rating for their Windows Features and in their Overall Rating. Here’s a comprehensive review on the similarities, differences and the benefits of getting a service from these 3 top Windows hosting companies. If there’s one thing similar about these 3 it’s that they are all great hosting companies and you can never go wrong. You can choose either and you’d never regret your decision. They’ve been judged as 3 of the best hosting companies for good reasons and you’re satisfaction is absolutely guaranteed. Some of the similarities between these three best Windows hosting companies include Windows 2008, IIS7, ASP.NET 4.0, AJAX, PHP, Perl, Python, SSI, and easy-install Shopping Carts. When it comes to their services, all three are offering the best in their hosting packages, in hosting value and also in customer support. Like most Windows Hosting companies, their web services offered are also easy to use with DiscountASP ranked a little higher while HostGator and MyHosting are tied at second. Be sure to check out the Top Five Advisor DiscountASP review. Discounts are available exclusively through the TopFiveAdvisor website. DiscountASP is the best web hosting company especially for web designers who only want to handle a single website. Excellent Uptime Rating- Discount ASP Windows Hosting has a rating of 99.98% which is very important for any site designers. It’s poor to go for a web hosting company that suffers from downtime as you can lose a lot of hits from visitors. Once the site is down, you can lose possible clients/hits for your site. Dependable customer assistance and support. With their technical support team available at any hour, at any day, at any occasion means you can easily get the assistance you need in case there is a problem with your subscription. They also have a knowledgebase with hundreds of questions answered so you can easily find your way around. Their forum is open to all their clients where you can post questions or exchange answers and other ideas with fellow clients. Be sure to check out the Top Five Advisor HostGator review. Discounts are available exclusively through this website. 1 decade of providing quality web hosting services for their clients. Offering 2 hosting plans to fit your needs. They have the personal plan for those who want to run just one website and they also have the enterprise plan for the more serious site designers. $4.76/month Personal Plan- 1 domain name with everything unlimited from disk storate space to email accounts. $14.36/month for Enterprise Plan- You can register from 1 to 5 domains and you can also purchase IP addresses and others. 99.99% Uptime. It’s very rare for HostGator to suffer from a downtime. When it does, it only takes seconds or a few minutes and it will take a long time before it happens again. They know how important it is for site owners to keep their sites up and running at all times. Plesk Control Panel- With Plesk, it is even easier for HostGator clients to control their sites. 24/7 Chat Customer Support- Have a problem? Send their tech support team a chat message and you’ll get a representative answering your queries almost immediately. It’s a quick and personal assistance they advocate. Be sure to check out the Top Five Advisor MyHosting review. Discounts are available exclusively through this website. 15 years experience in offering web hosting packages. 99.99% uptime. A great advantage for MyHosting clients is their offering of 100% uptime agreement wherein clients get a credit offer when they experience a downtime on their websites. The credit offer can be a service for a full day or longer depending on the outage experienced. Though this is quite rare that they suffer from a downtime. Assistance and customer support comes in different ways. You can contact their customer service via chat or you can call them 24/7. They also offer a knowledgebase where FAQ’s are answered. They also have a forum where fellow clients are able to answer and help each other with their questions. HostGator and MyHosting only offer the latest Windows 2008 while DiscountASP also has Windows 2003. This is a big advantage for DiscountASP clients as that means even old Microsoft software can run with their operating system. MyHosting only has ASP.NET 4.0 while the first two also have ASP.NET 2.0 and ASP.NET 3.5. 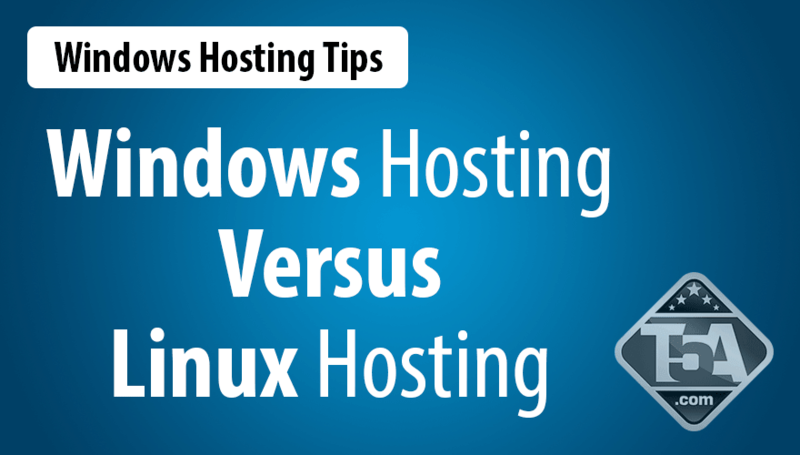 MyHosting also lacks CGI and FastCGI that the two other Microsoft Hosting Companies offer. Website file backups are done nightly for DiscountASP, weekly for HostGator while it is optional for MyHosting. The sooner you get backups the safer it is for clients to avoid any loss of data. As for customer support, HostGator is incomparable. They offer all sorts of options for clients. They have a toll-free number, a self-help section, social networking updates and interactions, forum, blog, tutorials, online billing, live chat and an email ticket system. MyHosting also has all these options except for a video tutorial. DiscountASP only has an email ticket system, a blog, forum, social networking updates and also their self-help section. As a conclusion, all three of these Windows hosting companies are superb. They have been reviewed and tested and surpassed all the other Microsoft Hosting companies around. You can choose either one of these names and get the best web hosting experience possible. These services are also priced low. 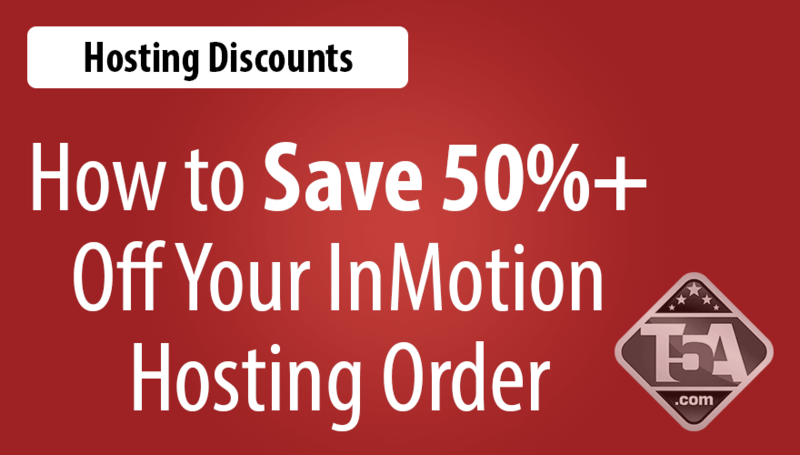 For as little as $4.76 a month for HostGator, $5.00 a month for DiscountASP and $6.95 for MyHosting, you can already enjoy their hosting service. At TopFiveAdvisor you can even use our discount coupons for an even lower price. Windows developed the web application framework called ASP.NET to allow users the ability to build their own dynamic websites, web services as well as web applications. It was released with the 1.0 version back in 2002 as a successor for Microsoft ASP. ASP.NET Comparison for Versions .NET 2.0, .NET 3.5 and .NET 4.0. Supports 64-bit platform as compared to the earlier version that is only available in the 32-bit platforms. Language Flexibility- It supports many scripts such as Microsoft C#, Visual Basic .NET, VBScript, Jscript, and many others. The .NET framework is a collection of libraries that programmers use to find the right codes in writing their software. 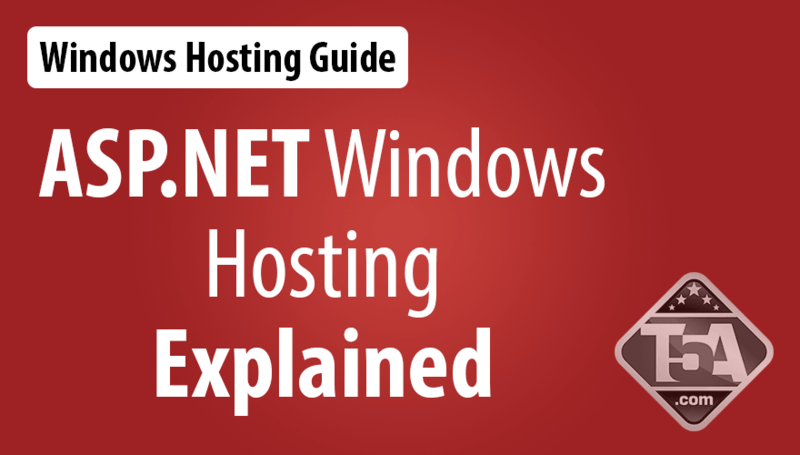 With the use of ASP.net Windows Hosting you can easily create a website or webpage. With Windows Hosting, ASP.NET even improves the web designer’s ability to create, edit and improve the design of their sites. Since the .NET framework contains a vast number of codes that you can use for whatever purpose you need, you don’t need to start from scratch with creating your codes. A vast number of applications can be created with the use of ASP.NET Windows Hosting. You can create a web game application, chat application or any other application you wish to add on your web page. Any Windows-based web programming can benefit from ASP.NET. Virtual Private Servers are virtual machines. A physical server is divided virtually into smaller chunks of virtual servers that are then rented out to clients. With Virtual Private Servers, customers enjoy the same functionality as having their own physical computer acting as their server but in a smaller volume and lower cost. With Virtual Private Servers, you can choose what operating system you want, how many sites you’d like to administrate, and other options. There are many companies offering top VPS hosting solutions. This web hosting service is offered both as an unmanaged hosting and managed hosting package depending on the company that offers it. With VPS hosting, a web hosting company has its own data center where physical computers are kept safely. VPS hosting can also be offered by resellers who only get their services from a web hosting company and they divide their hosting to smaller chunks and offer it to their own customers. VPS hosting is what bridges shared web hosting and dedicated server hosting. You get the same independence as getting a dedicated server yet paying just a little higher than a shared web hosting. Getting a VPS hosting plan is great especially if you’re ready to step up from a shared web hosting plan. When your site needs more than what your shared web hosting can offer but you’re not yet ready to jump in and get a dedicated server hosting plan that costs a lot of money then VPS hosting plan is the right jump. VPS hosting plans are flexible. With a VPS hosting plan, you can get just as much disk space, bandwidth, and others as you’d need by simply requesting for an adjustment from the web hosting company. This is something that you can’t find easy with a dedicated server because you’d get the space you have in the physical computer, no more no less. Of course you too could have it upgraded but it’s not as simple as in VPS. Virtual Private Servers are great but it isn’t flawless. There are times when you’d experience a few bumps and if you’re not an expert web designer, you may need a bit of outside help especially in troubleshooting or in diagnosis. This is why managed VPS is a better choice. The internet is pretty sneaky. No matter how safe your system may seem to be, hackers still have a way of trying to hack your site. Once they become successful, you need to solve the problem really quick to minimize the damage. With a managed VPS hosting, you can request for assistance and your web host will help you. You are paying more for the Managed VPS hosting but it’s a great security blanket if you are not sufficiently knowledgeable in running the server on your own. Believe us, we’ve had to rely on our VPS hosting provider several times to get issues like this fixed, we were very glad to have customer support available when we needed it! Another difficulty you may experience is when you upgrade your automated software and something goes wrong. When this happens you need to fix the problem to keep your site available. The longer it takes you to fix it, the longer your site will suffer. If you have managed VPS hosting, the problem can be solved faster but it may seem impossible if you don’t know how it’s done. There are many other system programming problems that may arise with a Virtual Private Server hosting that you may encounter. These problems are not necessarily caused by the server itself but with your own error in programming or with security intrusion (site hacking). In deciding whether you should go for the unmanaged VPS hosting or the managed VPS hosting really depends on you and how well you know in system administration. If you’re an expert or you have an IT team working for you that are experts in this then go ahead and choose the unmanaged VPS as it costs less but if you want the peace of mind and pay a little more then go and choose the managed Virtual Private Servers. Managed support is necessary for Virtual Private Servers if you don’t have the knowledge and skills necessary to maintain your site solely on your own. Managed support is not necessary if you know you can do it well without the help of your web host. Managed VPS hosting costs higher but it gives you the peace of mind knowing you can lean on your web host when there’s a problem you can’t easily fix yourself. The difference between the two is really with the price and convenience. If you think paying a few more dollars won’t hurt you and you don’t want to spend hours trying to troubleshoot then better go for the Managed Virtual Private Servers. VPS stands for Virtual Private Server. To illustrate what VPS Hosting is, just imagine having a server and you “virtually” split it into several other servers. It’s like a mixture of having a dedicated server and having shared web hosting service. With VPS Hosting, you get your own disk space, you choose your own operating system, you have TCP and IP stacks, you do your own processes and everything else that you can get with your own dedicated server. The real difference is really with the size. It’s like a chopped up dedicated server where every slice is equal in all aspects and you get one slice. That slice is completely your own and it is not affected with anything that is added to the other slice. If the other user crashes his Virtual Private Server, you are not at all affected. There are a lot of web hosting companies that are also offering VPS. This is great for those who don’t want shared web hosting anymore but still can’t afford to get a dedicated server or the capacity of a dedicated server is still too much for them. Dedicated Servers are for the more serious web designers there is. This is the highest end in web hosting and it’s the most expensive. With dedicated server hosting, the client gets the whole server and it is not being shared with anyone else. With a dedicated server you get to choose what hardware to use, what operating system and many others. Dedicated servers are kept in data centers for best protection. You will also get support from the hosting providers in case of problems with your own dedicated server. Dedicated servers can handle very large site traffic. Popular sites usually have their own dedicated servers as no other types of servers can handle their requirements. For those that don’t really require that much from their hosting provider can opt for either shared web hosting or VPS that are priced much less. There are a lot of VPS advantages if compared to dedicated servers for web designers with few managed sites with lesser needs. Shared web hosting is a type of hosting service offered wherein a server is divided into several sections and leased to website owners. These sections can affect each other as you are sharing RAM, Operating System, disk space and others. If one site is unfortunately hacked, yours could be compromised. It is the cheapest web hosting plan there is and this is very appealing to many site owners who don’t really require much in running their sites. It’s also appealing to those who are still new in website designing and don’t want to risk on the more expensive hosting types such as VPS and dedicated servers. What are the Advantages of going for VPS Hosting? Better security with VPS Hosting than Shared Web Hosting. TCP/IP is not shared with other users and disk space is also not shared. You have your own designated disk space, TCP/IP and others. Predictable Environment. With Virtual Private Servers you can choose what Operating System you want, what type of control panel you want, etc. You are not affected with downtime when another site is having problems. Backup and Restore. With a VPS hosting, you can set your own backup with your own backup drives. Lastly, you get full control. With your own virtual private server, you get the full control just like what users with dedicated servers enjoy. This is something you can never get with a shared web hosting. A dedicated server has a lot more resources than the VPS thus it is more powerful, perfect for large sites. Dedicated servers are isolated. You have your own CPU that is dedicated just for you in a data center. It is not shared with anybody else. 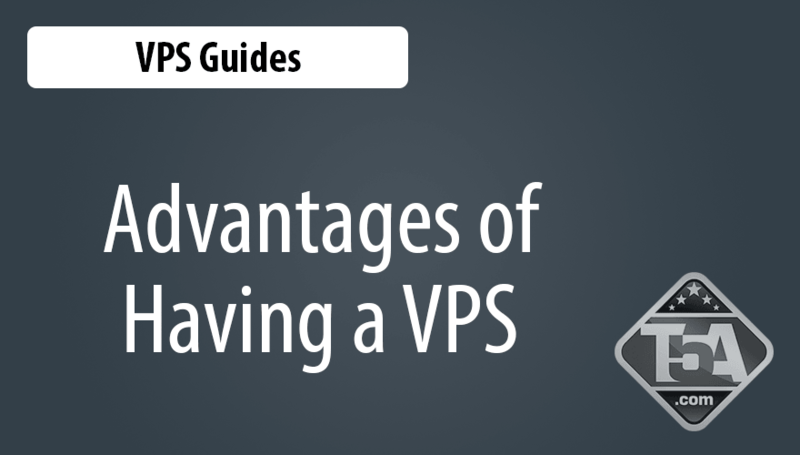 VPS lets you migrate into another VPS without much fuss. This is not an easy task in moving from 1 dedicated server to the next. VPS has pricing that you can easily afford while the dedicated servers can cost hundreds of dollars a month. Peak times can cause minor inconveniences for VPS users as each one share their resources with each other. Though completely virtually separated yet network connection is split with each one. When looking at site response times, overall security, and reliability, shared web hosting ranks lower than Virtual Private Servers while Dedicated Servers are ranked the highest. If you have minimal needs with a website that doesn’t require a lot of resources (like a very popular WordPress blog or popular forum) then a good shared web hosting is for you. If you want superior hosting then having your own dedicated server is the best, although, most dedicated servers are well over $100 a month, often reaching $200+. If you want reliable hosting that isn’t shared amongst thousands of website owners therefore providing better response times, better reliability, and better security, a VPS is your best choice. The best part about a VPS is the fact you aren’t on a shared IP address used by hundreds (or thousands) of websites. With a VPS, you’ll get 2 dedicated IP addresses with the ability to purchase more. Hosting a site is made easy with the use of a control panel. There are two popular control panels especially for VPS hosting and they are the cPanel and Plesk control panel. It is hard to compare one from the other as they are somewhat similar but with some difference especially with regards to its setup. The truth is, these two are excellent control panels. When you choose cPanel or Plesk, it is best to stick with it as switching from one to the other would be quite complicated and time consuming. cPanel VPS control panel had been used for many years. In fact, many well experienced webmasters are already quite familiar with this application. Plesk is still relatively quite new but its interface is much easier to understand. Though Plesk VPS control panel is easy to understand, those who have already grown familiar with cPanel would need to re-learn how to use this new type of control panel. Plesk VPS is a better choice for those who are going with a fresh mind, without the familiarity yet of cPanel. What is the Right Control Panel for Me? Finding the right control panel for you depends on what you are actually looking for. cPanel is a UNIX-based application therefore it’s great for those who prefer a VPS with the Linux or UNIX operating system. If you want to go with the Windows based web hosting then you should choose Plesk. Also take note that Plesk is also available for Linux-based servers. Though there are other control panels available that are Linux-based and Windows-based, these two are the best. Cost is also a factor to consider. cPanel is cheaper than Plesk but the latter is also able to offer smaller plans that cPanel does not have. If you are getting your web hosting service from a service company, the price for their chosen control panel is already added to the price of their web service. Web hosts are the ones who determine how much they would pass along to their clients so you can base the price on the price of the web hosting package itself. cPanel also is working in conjunction with WHM. You would need to login to them individually while Plesk is a two in one control panel. 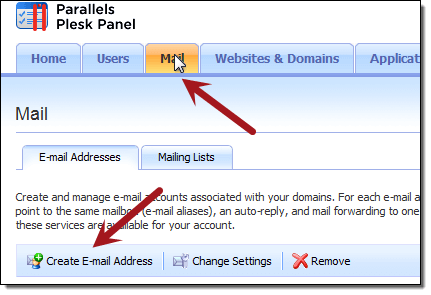 cPanel is the control panel for the domains while WHM is for server administration. With this said, it is possible for someone to be given access on cPanel but can’t access WHM as they are only given administrator privilege on pages but don’t have privileges in administrating the server. As for Plesk, those who can login to it will have both access. What to Choose for My VPS Server? Choosing from cPanel or Plesk for your VPS server is an easy task. You have the option whether you want a cPanel VPS for Linux O.S. or if you want the Plesk VPS for your Windows web hosting or you want Plesk VPS for Linux. What’s important really is that you’d be loyal to it. Make sure that when you choose one control panel you won’t have plans of choosing the other in the future. This is because migrating from one server to the next and changing control panels is hard. Plesk has a migration system that can help but it’s not going to give you a very neat end result. It’s easy to migrate from one server to another as long as they both have the same control panels as there won’t be any compatibility problems. Both the cPanel VPS and the Plesk VPS are two very good choices. The differences between the two are quite minor that you really can’t make a clear winner between them. What matters most is that you get one that you are most comfortable with. Learn more about the best VPS hosting solutions. It is often confusing for those just learning about the definitions and terms of our VPS hosting comparison. Below, you will find most of the terms we’ve used in our comparison table as well as our independent VPS review of each VPS host provider (see our InMotion Hosting VPS Review as an example). 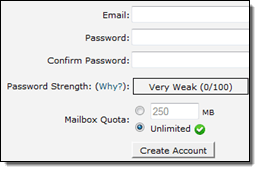 Apache – A web server program. Apache is one of the world’s most popular web server programs, it was built and is maintained by a group of open source programmers and it is often used because of it’s excellent performance, security features and that it is free. Bandwidth – The amount of data that can be transferred at a given moment to or from a server. The larger the bandwidth value the higher amount of traffic your VPS can serve without additional costs. Data Backups – Refers to the VPS provider offering the ability to save your VPS’ data in case of catastrophe such as hard disk failure, data corruption, or other major event. This is a copy of the entire file system for a VPS that is typically stored separately that can be used to completely restore your VPS account. Burstable RAM – Refers to the amount of memory that your virtual machine can use if you run out of your “Guaranteed Memory”. Burstable memory is available only if there is free memory available on the VPS node. Command Line – This resembles DOS in that it is just a blank screen with a prompt where the administrator/user would type in commands for the system to run. Most users would rather use a web base interface or a graphical interface to administer their system because there is less chance of error. Control Panel – A web based interface, which allows users to administer their server by clicking on different icons instead of having to memorize commands. The commands would be run on the command line and if typed in incorrect they could seriously harm a system and stop it from running forcing the hosting company to have to restore the system from a backup. Custom VPS – Some VPS hosting companies offer you the ability to completely customize your VPS experience specifying disk space, bandwidth, and installed software. The first company to introduce this was MyHosting. To learn more about MyHosting, see our MyHosting VPS review. cPanel – CPanel is a fully featured web-based control panel that allows you to manage your domain through a web interface, provided by cPanel, Inc. The idea is to transfer as much of the control and responsibility of managing your web site to you. You have the ability to manage all aspects of e-mail, files, backup, FTP, CGI scripts, and web site statistics. Be sure to see our research on the differences between cPanel and Plesk. 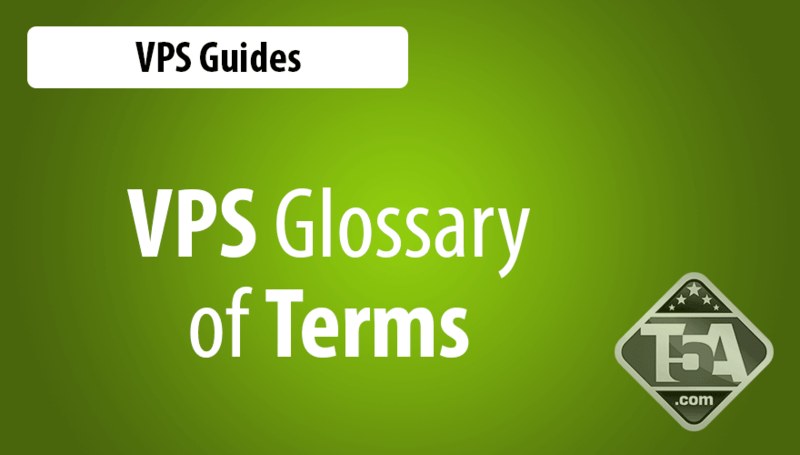 Dedicated IPs – An IP, in our usage, is an Internet Protocol address. A dedicated IP address is not shared by any other website or server and is strictly for your usage only. Most VPS servers offer a limited amount of dedicated IP addresses but you may purchase more for an additional fee. Dedicated Server – This hosting feature allows a web site to have its own server. It is more flexible than shared hosting as webmasters have full control of the server, including choice of operating system. Server administration is still taken care of by the hosting provider. DNS – Stands for Domain Name System; An underlying internet system which provides a mapping between domain names and the IP addresses used for routing. Disk Space – The amount of data that your VPS can hold without requiring additional fees and expenses. Fantastico – An integrated application that allows web hosting clients to automatically install popular free scripts. File System – A system of storing files on the hard drive and in this case the files are stored in such a way that only your account(s) have access to them. This is more secure than shared hosting where everyone is on the same file system and could go look in other areas where they should not be. FTP – File Transfer Protocol. The protocol used on the Internet for exchanging files. FTP uses the Internet’s TCP/IP protocols to enable data transfer. FTP is most commonly used to download a file from a server using the Internet or to upload a file to a server (eg, uploading a Web page file to a server). GUI – A Graphical User Interface that makes managing your VPS server simple. Without a user-friendly GUI, you’d be required to entire Windows or Linux command prompts to make configuration changes to your VPS. H-Sphere – A web hosting Automation Control Panel for shared web hosting services, provided by Parallels Holdings Ltd. It is currently available for Linux, Unix and Windows environments; and works with MySQL, PostgreSQL and Microsoft SQL Server databases. IMAP – An Internet Message Access Protocol that handles email retrieval (compare to Post Office Protocol (POP)) commonly served on port 143. Linux VPS – A Virtual Private Server with a Linux OS such as CentOS installed. Managed Hosting – A VPS that is supplied with a full suite of technical support, setup, maintenance and monitoring services. Managed VPS hosting differs from dedicated servers where customers are provided with their own server but still have to take care of all the administrative duties related to the server. Network Uptime SLA – The guarantee from your VPS hosting service provider that guarantees uptime via a Service Level Agreement. 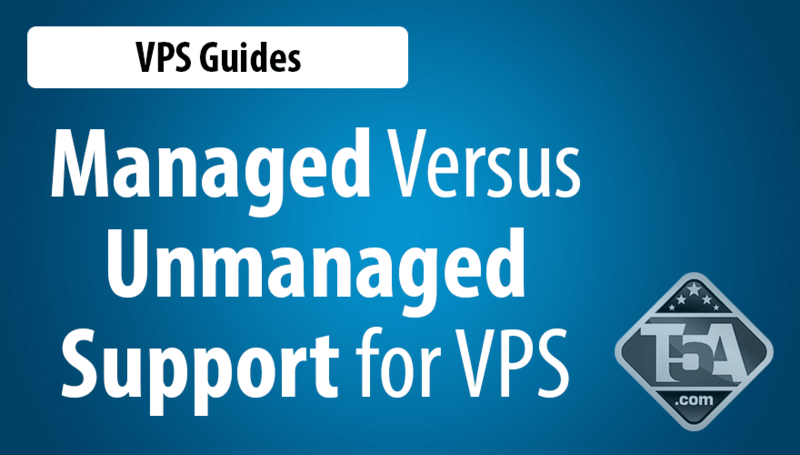 Some form of compensation is provided if the VPS host doesn’t meet their stated guarantee. Plesk – The Plesk software package is a proprietary commercial web hosting automation solution by Parallels Holdings Ltd. Developed for professional hosting service providers, Plesk is comprehensive server management software designed to install and manage all systems and applications for Web-Hosting on a single server. Be sure to see our research on the differences between cPanel and Plesk. POP3 – In computing, the Post Office Protocol (POP) is an application-layer Internet standard protocol used by local e-mail clients to retrieve e-mail from a remote server over a TCP/IP connection. PPC – Pay per click advertising. Popular platforms include Google Adwords and Microsoft adCenter (currently includes advertising on Bing and Yahoo). Private Name Servers – Refers to the name servers which you are using being branded by you instead of reflecting your host’s domain name or a generic name. 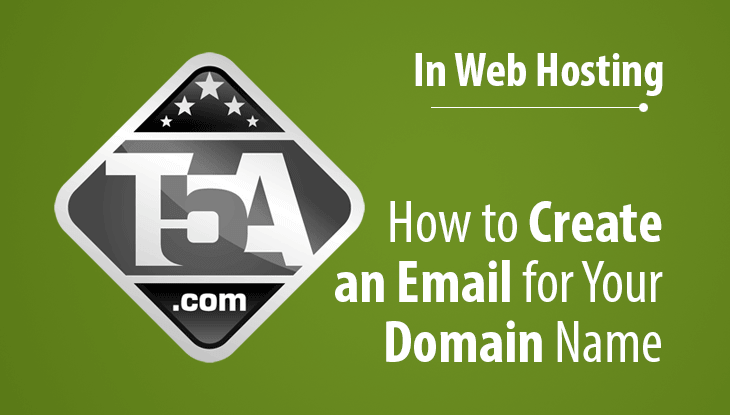 Usually a domain name of your choice is used or a generic one picked by the hosting company. For example instead of ns1.yourhost.com and ns2.yourhost.com your VPS hosting account would be allowed to use your ns1.yoursiteliketopfiveawards.com or a generic domain such as ns1.myhosting.com. RAID – Stands for Redundant Array of Independent Disks, is a way of storing the same data in different places (thus, redundantly) on multiple hard disks. By placing data on multiple disks, I/O (input/output) operations can overlap in a balanced way, improving performance. RAM – Random Access Memory. This is the memory of your VPS server. With low memory, your VPS will slow to a crawl and leave your visitors frustrated. Root or Root Access – This is the super user, or the user with control over everything, on a computer system. This user can do anything they want on the computer system from installing software to deleting everything on a system. SSH – Secure Shell or SSH is a network protocol that allows data to be exchanged over a secure channel between two computers. Encryption provides confidentiality and integrity of data. Virtuozzo – Virtuozzo creates multiple isolated Virtual Private Servers (VPSs) on a single physical server. Each VPS performs and executes exactly like a stand-alone server for its users and applications as it can be rebooted independently and has its own root access, users, IP addresses, memory, processes, files, applications, system libraries, and configuration files. VPS (Virtual Private Server) – This is one step above shared server hosting, a VPS provides the services offered by a dedicated server but on a server shared with other web hosting customers. See also: VPS Benefits. VPS Node – The physical hardware which runs Virtualization Platform software and hosts one or more Virtual Private Servers (VPS). Windows VPS – A Virtual Private Server with a Microsoft Windows OS such as Windows Server 2012 installed.